GPI was established in 2005 with two partners, one Bridgeport and one horizontal CNC mill in a 2,500 square foot garage. 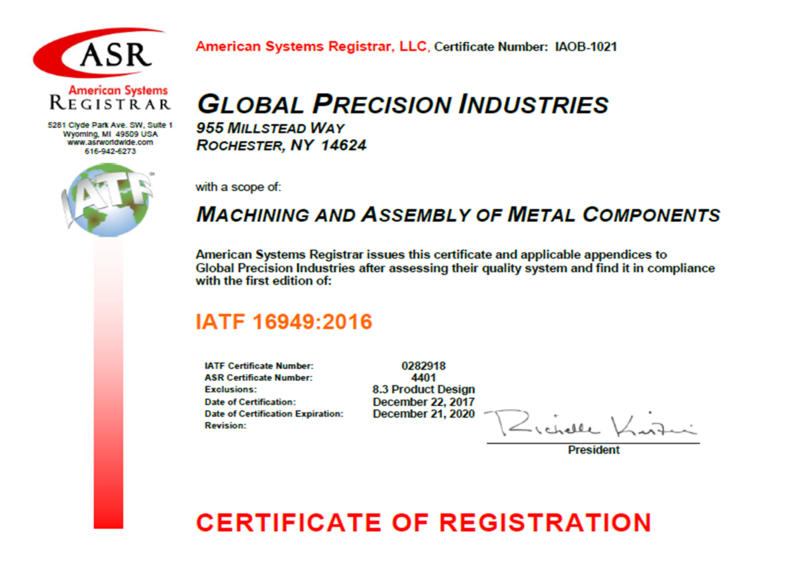 Today, GPI is a privately owned, non-union IATF 16949 certified manufacturer, with over 80,000 square feet of climate controlled manufacturing facility, over 20 CNC machines and growing. Medium to high volume production CNC machining. From CNC machining, to material supply chain management, to product assemblies; GPI offers multiple value added services that allow our partners to reduce their supply chain efficiently. Raw material sourcing (castings / forgings).